NATURE: SNOW BEARS - Documentary - Witness the incredible journey of newborn polar bear cubs as they leave the safety of their den for the first time. Bravely led by their mother, the cubs must make the perilous 400-mile Arctic trek to the sea to feed. Narrated by Kate Winslet. Set against the harsh backdrop of the Arctic, Nature: Snow Bears is a dramatized story based on the extraordinary adventures and life-changing journey of newborn polar bear cubs as they leave the safety of their den for the first time. Bravely led by their mother, the cubs must make the perilous 400-mile trek to the sea to feed. 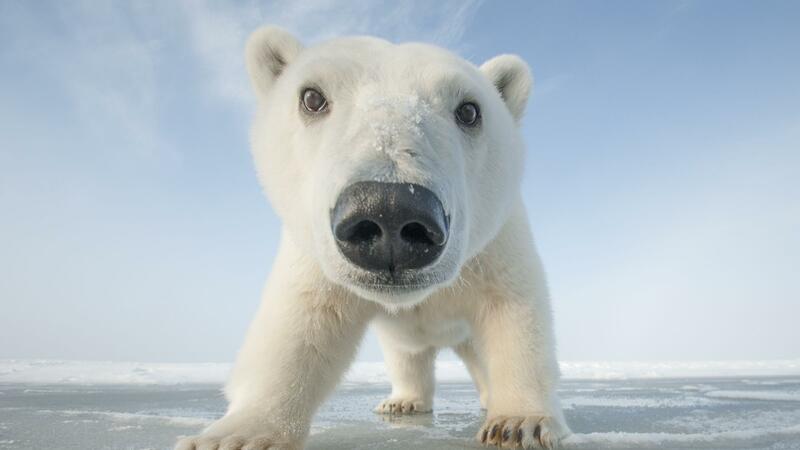 Encountering many dangers and adventures along the way — marauding male bears ready to kill, extreme weather, Arctic foxes, Walruses, Narwhal, snowdrifts and ice cracks — they undertake an epic survival challenge. These cubs are rarely seen in their natural habitat, and this is a unique glimpse into their world. Kate Winslet narrates. PROGRAMS LIKE THIS ARE ONLY MADE POSSIBLE WITH YOUR FINANCIAL SUPPORT. Please donate today.